In five months from today, I’m going to board a flight for Hong Kong–by myself. It’ll be the first time I’ll be on a trans-Pacific flight alone in more than 20 years. But it’ll also be the first time in as many years–or more–that I’ll be traveling with my mom. My mom and I have had some amazing trips, but all before I was married. She visited me in Hong Kong a number of times. We traveled to Japan (also on separate flights) together, and met in Malaysia and Indonesia. 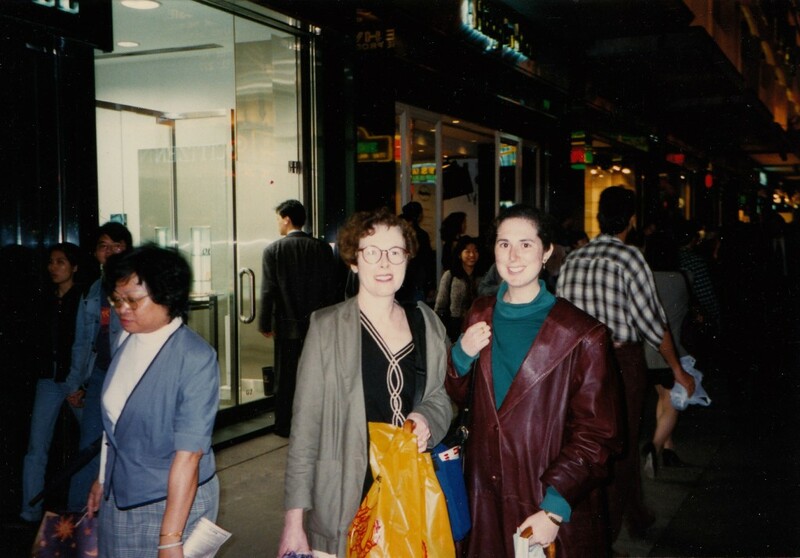 This fall, we’ll mainly stay in Shanghai, a place neither of us has visited since 1995. Thinking back to that last trip, where I sailed on a local boat from Wuhan–steerage loo and all–when I was married to my ex-husband, and this time when my mom and I will attend the Art Deco World Congress, the two trips couldn’t be any more different. What a way to return! But we’ll also most likely spend some time in Hong Kong together. I can’t fly to Shanghai without stopping in Hong Kong (both because Cathay doesn’t have a non-stop from Chicago to Shanghai and also because I can’t imagine going to China and not seeing Hong Kong, too), and she might stop there, too. I’m going to give book talks in both cities, so stay tuned for more information about those.